Run by the cutting-edge arts, cultural and media specialists, Time + Space Co., the Arts Centre brings a range of live shows, pop-up events and exhibitions to Hornsey Town Hall. 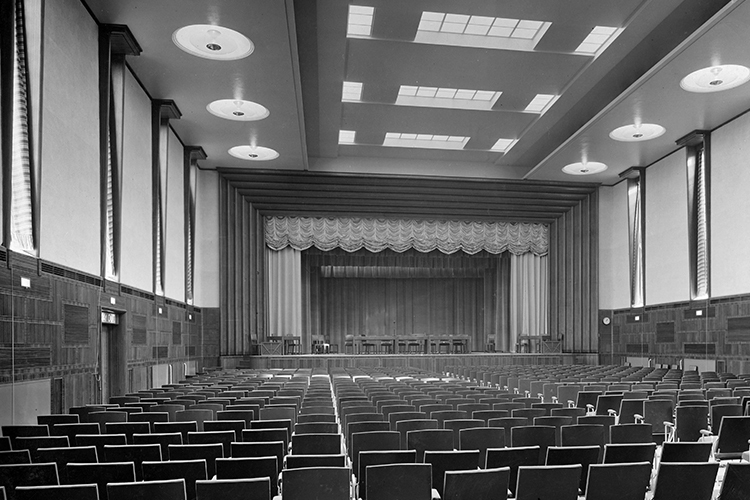 Over the years, the likes of Queen and Ray Davies have graced the Assembly Hall stage at Hornsey Town Hall. Today, it will once again play host to a diverse programme of high quality art performances and events, from world-class theatre to innovative 3D holographic productions and music concerts to ballet and dance shows. The space is also available for community uses, as well as private hire, conferences and corporate functions with the new space able to accommodate up-to 380 people on a round table set-up. The town hall will be home to a unique cinema experience that will inspire its audience with performances from around the world. 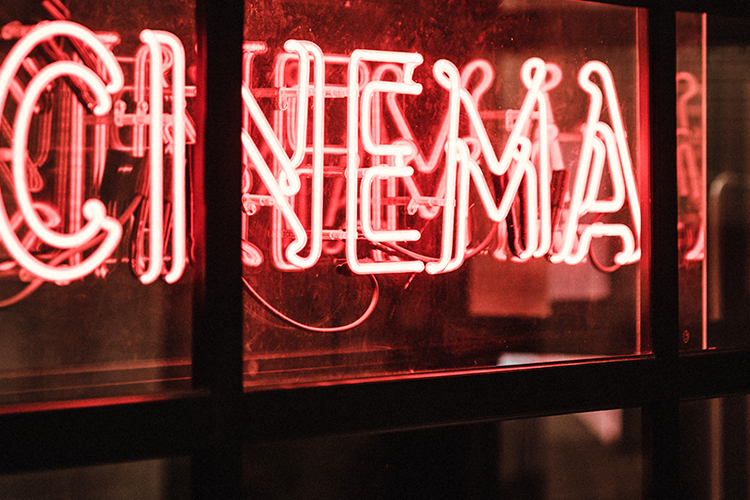 A brand new theatre space is being designed for a cinema operator to show contemporary and classic films that will be supplemented with live streaming of international ballet, theatre and opera. The Arts Centre will work in partnership with the cinema operator, to be announced later this summer, to push the boundaries of entertainment by supplementing the programming throughout the rest of the building. This will comprise rich and diverse performances from the world of film, music, comedy, Q&A’s, dance and creative workshops for all groups within the community to participate and enjoy. The Town Hall Square will host several fairs through out the calendar year. 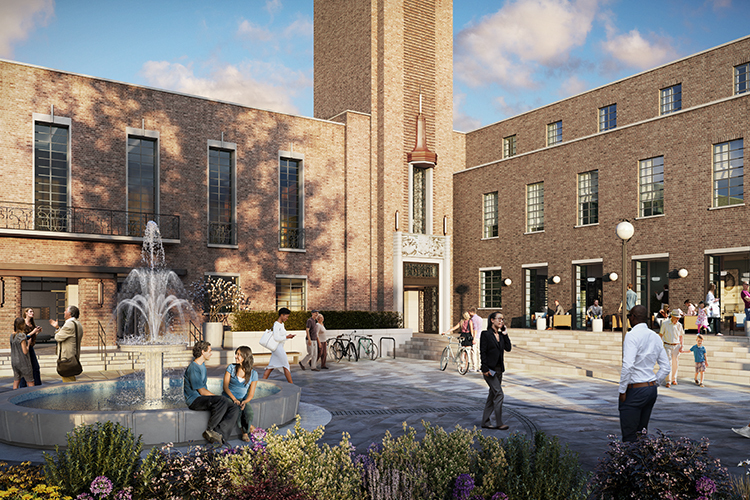 Including art installations and exhibitions and street food markets, including local farmers’ markets and the annual Crouch End festival, which brings the whole community together for live music, with food and craft stalls as well as an open-air cinema experience. 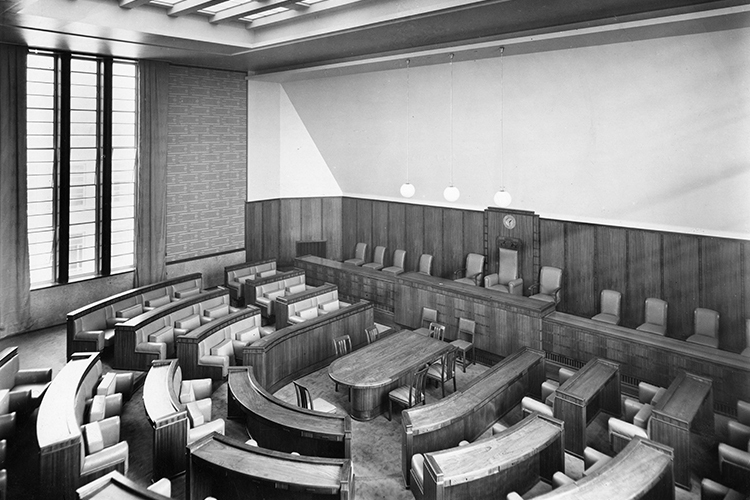 Once used for council meetings and debates, the Council Chamber now welcomes local musicians, comedians and theatre companies for intimate gigs and performances. The room can also be booked for wedding ceremonies and private or corporate functions, often functioning in tandem with the neighbouring Committee Room for wedding receptions. Like the Assembly Hall, the space is versatile and can also be used for speakeasy events, TedX talks or co-working by day.